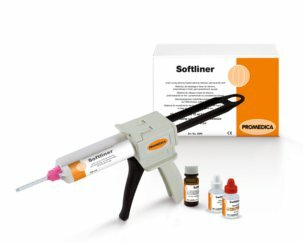 Softliner is a cold-curing soft denture relining material on A-silicone basis in a 1:1 safety cartridge system for long-term relinings. The realisation of a complete chairside relining takes only one session. 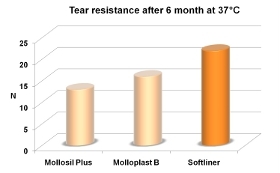 Softliner is biocompatible, odourless and tasteless. The material convinces by excellent physical properties such as a high permanent elasticity, resistance to abrasion and tensile strength as well as a good dimensional stability.